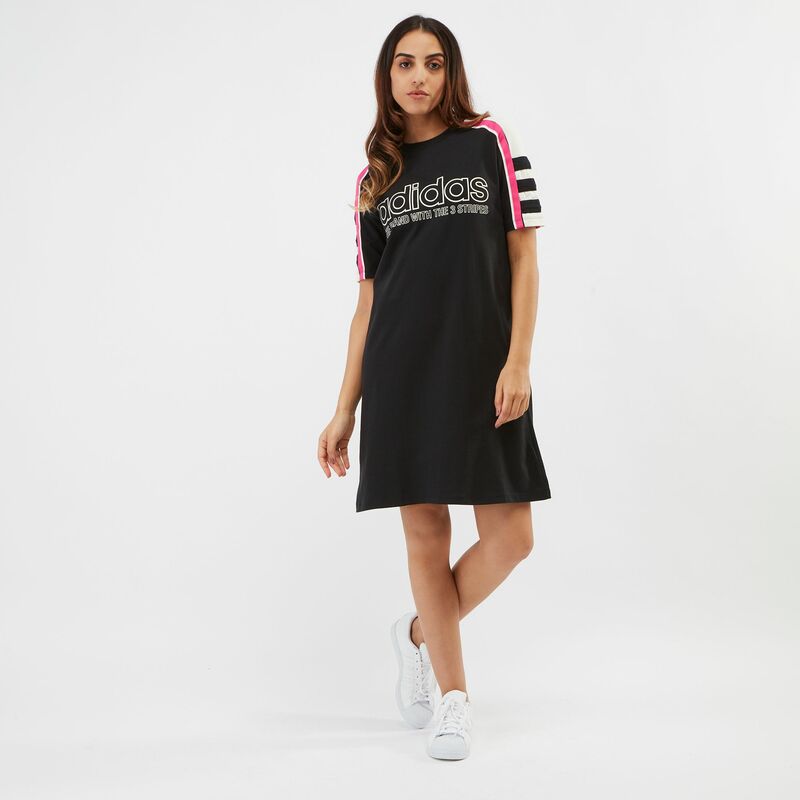 Be both sporty and stylish with the adidas Originals T-shirt Dress for women. The t-shirt features the adidas logo print on the front with bold, colour-blocking on the sleeves to add that dose of street-chic. 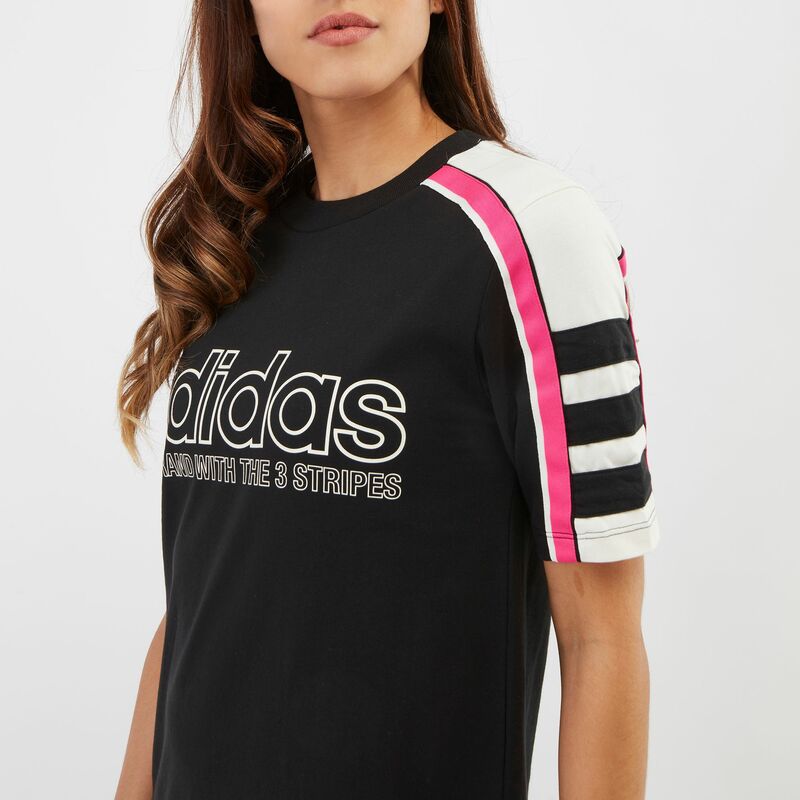 Pair this t-shirt with fresh white kicks for a casual day out.